Originally from Japan, Marvel presents their iconic characters in adorable, stackable toys called Tsum Tsums! Each Tsum Tsum features a wide range of Marvel characters! 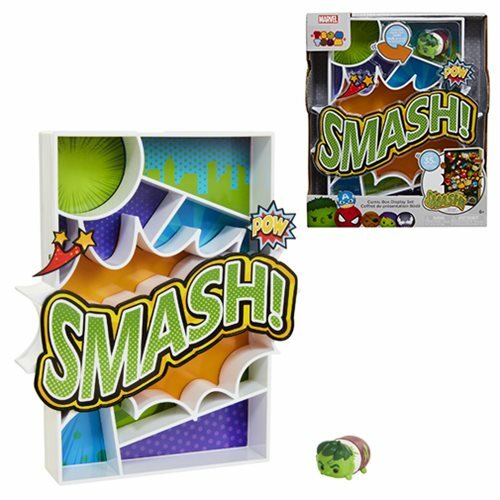 This Marvel Tsum Tsum Comic Box Style 1 Display Set is perfect to show off your favorite Tsum Tsums. Collect them all and create an adorable stack of fun with the Marvel Tsum Tsum Figures! Ages 6 and up.